June 21, 2017 June 7, 2017 / J.K. This book is kind of unique. I thought I was buying a big book that essentially be a volume of shortish biographies for all the presidents of the 20th century. In a since that is what it is, the presidency from Teddy to Bill. The major difference it is really is focused on each man’s presidency more than it is the man himself. There is short biographical into, so to speak, but it really is more a chronicle of their years in office. It is more than just history that Leuchtenburg write on, the uniqueness comes from his approach of how the presidency changed under each man and overtime. In a way, the book is more a biography/history of the presidency in the 19th century; certainly much more so than a collection of biographies. It really is an interesting book. 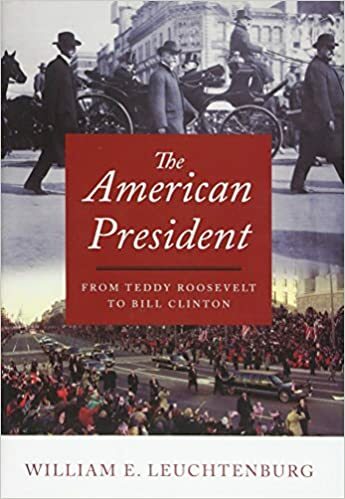 The presidency changed so dramatically from Teddy to Bill, covering those changes and diving into the intricacies of how and when they happened really is a fascinating take on history. For his part, Leuchtenburg is a master historian, but if I had one criticism of him, it is that often it seemed he was going out of his way to find a long, rare word. I fire threw about 50 books a year and write reviews for most of them, so I feel I have a pretty decent vocabulary, but I felt like I had to look up words every few pages or so. In that sense, the book was a bit academic, but for the most part, his writing is much more of story telling. You can breeze through a surprising amount of pages as he tells the tale of the major shifts in the way the most powerful office in the country has been handled. When you are ready to tackle this book, you better well know, it is not small. Not only is it well over 800 pages, but they are large pages, and densely packed with writing. All that said, anyone interested in politics or history needs to pick up this book. Hopefully, there are come college classes out there requiring it. The book is a wealth of information and is exceedingly important to see how we got to where we are today with regard to presidential power.